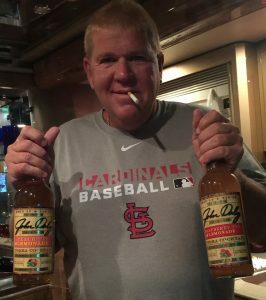 America’s new ambassador to Denmark is the golfer John Daly, 49, the winner of the 1991 US PGA and 1995 British Open major golf tournaments, the Republican-led Senate has confirmed – just one day after US President Donald Trump revealed he was “very close” to finding one. Prior to their vote, there had been concerns that Trump’s endorsement and the party’s majority might not be enough to approve Daly’s selection due to his highly-publicised battle with alcoholism, but they voted 52-46 in favour. Recently Daly confirmed he would compete in August’s Made in Denmark tournament in Himmerland, northeastern Jutland, and it is believed he will afterwards retire from the sport to formally take over at Rydhave, the official US ambassador’s residence, in the final week of the month. In February, Daly told Golf magazine he was very impressed with Denmark as a country. “The atmosphere [in Europe] is much cosier and more relaxed than in the US,” he said. 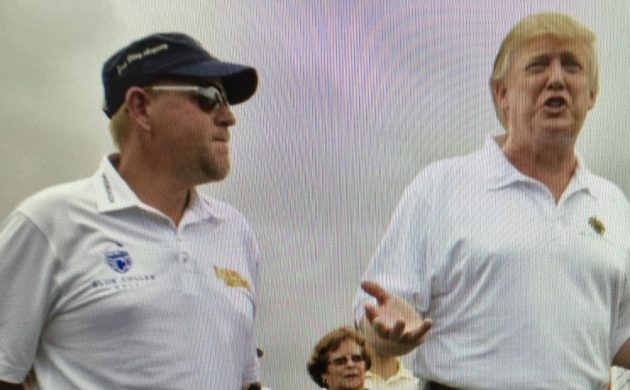 Friends for several years through their shared love of the sport, Daly has on several occasions endorsed the president’s credentials off the tee. Lake Michigan, however, might testify that Daly has used a similar approach to prematurely end doomed rounds. On several occasions during his career, he emptied his bag of all its balls, firing repeatedly into the water at the same hole to deliberately disqualify himself. Shirley Temple’s appointment as ambassador to Ghana in December 1974 set a precedent for curveball decisions by the US government. In recent times, Barack Obama appointed Pittsburgh Steelers owner Dan Rooney as ambassador to Ireland, while Daly’s predecessor Rufus Gifford was a creative executive in Hollywood.